Help! Lower part of sword is cut off while using custom resource pack. I've recently been working on a custom resource pack in which I've been using textures from other resource packs. For all swords, I've decided that I want to go with the swords used in the PrestonPlayz/TBNRfrags resource pack. 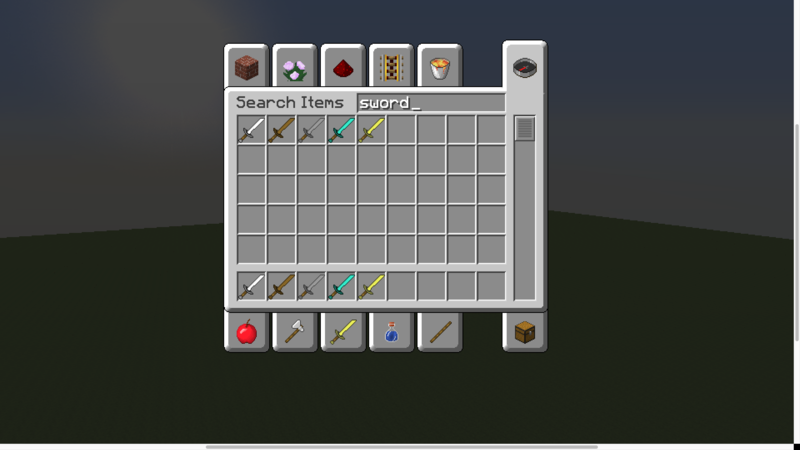 However, when viewed in my hotbar, inventory, or gui, a section towards the bottom part of the sword is cut off or missing. The sword in hand is not a problem, only when it is viewed in the inventory. I currently have my gui scale set to normal, but when I set it to auto, this problem goes away. However, I would be grateful if anyone is able to fix this problem with my gui scale being set to normal.